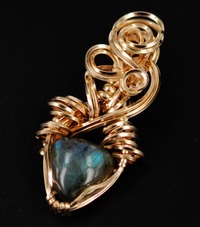 Wire sculpted /wrapped pendants, necklaces, bracelets and earrings. Each piece is of absolutely unique design due to the nature of both the stone cabochon and the wire embellishment. An ornate setting with intricate embellishment would overwhelm some stones, so sometimes a simple setting is required around the cabochon itself. A silversmithed bezel provides an elegant frame for the stone. Styles range from extravagant cocktail rings to delicate filigree pieces. 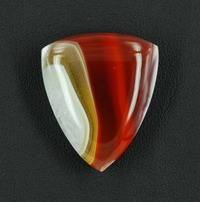 Queensland, Australia is home to some of the most beautiful agates in the world - Queensland Agate from Agate Creek. The range of colours and patterning found in these stones is simply incredible and good rough material is difficult to source in other parts of the world.